For those of you that have yearned for a Mary Tudor original painting either for yourself or as a gift for someone special, your time has come. Mary is having a Fire Sale! at her Georgetown studio. All of her original paintings may be purchased at 50% off selling price. Saturday, April 12th, 11 am – 9 pm and Sunday, April 13th, 11 am to 5 pm. 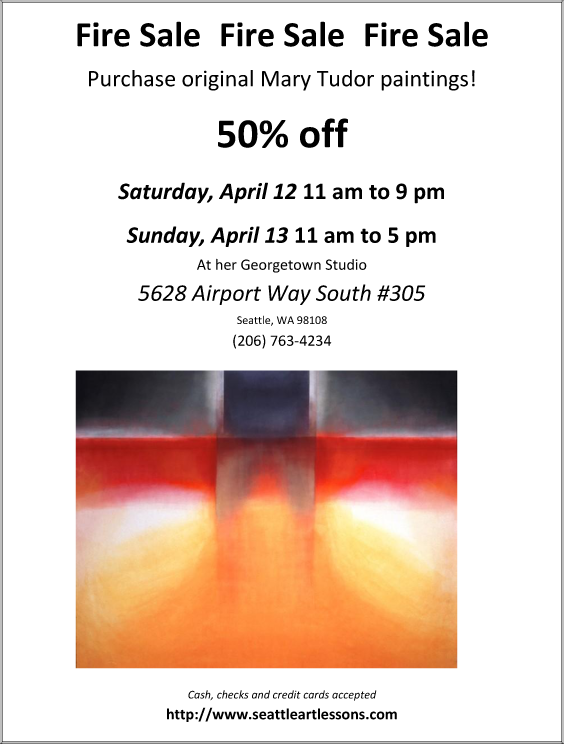 Come early and stay late – this is the same weekend as the Georgetown Art Attack so there will be lots to see and do.